Revealing several aspects, such as its remote antiquities, religious beliefs and practices; social/political system; buildings; language; music, comprehensive sciences; astronomy, medicine; economy; etc. 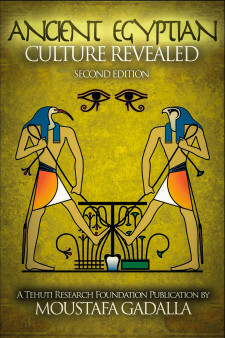 This new expanded edition reveals several aspects of the Ancient Egyptian culture, such as the very remote antiquities of Egypt; the Egyptian characteristics and religious beliefs and practices; their social/political system; their cosmic temples; the richness of their language; musical heritage and comprehensive sciences; their advanced medicine; their vibrant economy; excellent agricultural and manufactured products; their transportation system; and much more. This Expanded Edition of the book consists of four Parts, with a total of 16 Chapters, as well as three Appendices. 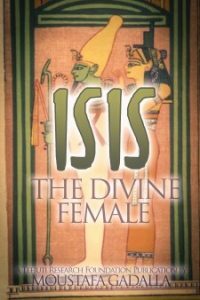 Chapter 1: The Beginning covers the age of Egyptian antiquities, being at least 39,000 years, in accordance with archaeological, historical, and physical evidence and the Age of Leo and the Sphinx; as well as the age of the Egyptian Sothic calendar, which is by far the most accurate calendar ever. Chapter 2: The Egyptian Populous covers the roots and characteristics of the [Ancient] Egyptian people, their housings, their settlements throughout the world, and the roles of foreigners in the history of Ancient Egypt. 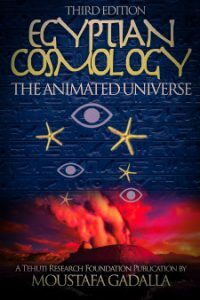 Chapter 3: The Most Religious covers Egyptian cosmology; monotheism and polytheism; animal symbolism; the creation of the universe; the concept of Maat; and the spread of the Ancient Egyptian religion throughout the world under new “names”. Chapter 5: As Above, So Below covers the principles and applications of cosmic consciousness in the lives of the Egyptians and the cyclical renewal festivals as a form of such principles. 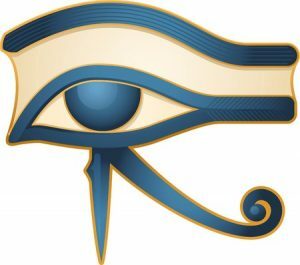 Chapter 6: The Pharaoh, the Cosmic Link covers the true rule of the Egyptian pharaoh as a Master Servant; how the people ruled; and much more. Chapter 7: Egyptian Temples provides a quick overview of the real function/objective of the Egyptian temple; the harmonic design parameters; and much more. 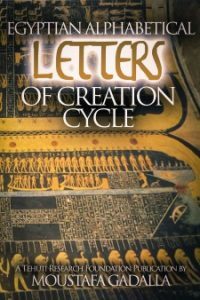 Chapter 8: The Divine Language provides a quick overview of the modes of writing in Ancient Egypt—the alphabetical form of writing and the imagery pictorial metaphysical symbols/script – as well as the cultured aspects of the Egyptian alphabetical language. Chapter 9: The Egyptian Musical Heritage provides a quick overview of Egypt’s musical heritage; the musical orchestras; and the wide range of musical instruments; as well as dancing and ballet in Ancient Egypt. Chapter 10: Health and Medicine provides a quick overview of international highest regards for Egyptian medicine; its medical profession; contents of some Egyptian medical papyri regarding the diagnosis, cures and treatments of various ailments and surgeries; and the wide range of prescriptions. Chapter 11: Astronomy covers some astonishing accurate astronomical knowledge and practices such as astronomical observations and recordings, the zodiac cycle, etc. Chapter 12: Geometry and Mathematics is a quick overview of the subjects of sacred geometry and natural science, geodesy, and mathematics and numerology; as well as Egyptian knowledge and applications of the sacred “ratios” of Pi and Phi. Chapter 13: The Cultivating Culture covers the outstanding application of dry-weather farming techniques, the societal division of labor, and the farming community. Chapter 14: The Manufacturing Industries covers the Egyptian knowledge of metallurgy & metalworking; their golden silver (electrum) products; their copper and bronze products; their glazing (glass and glazing) products; their iron products; their mining activities; and miscellaneous products such as woodwork, fabrics, pottery, leather, and paper; as well as some miscellaneous technological applications. Chapter 15: Transportation Infrastructure is a quick overview of the various high-quality types of Egyptian ships; major Egyptian coastal harbors; and land transportation; as well as patrons and shrines of travel. Chapter 16: The Market Economy covers the workings of the Egyptian market economy; business transactions; Egyptian exports (goods and services); and Egyptian imports; as well as the rise and fall of international commerce which was tied to Ancient Egypt, the economical engine of the ancient world.